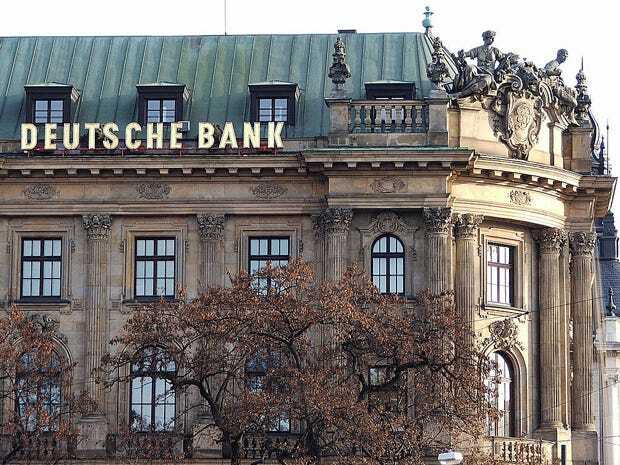 Deutsche Bank, long coddled by the German government, is mired in a swamp of costly “matters,” such as the Libor rate-rigging scandal or the carbon-trading tax-fraud scandal that broke with a televised raid by 500 police officers on its headquarters.It’s writing down assets and setting up reserves to settle these allegations. Co-CEO Jürgen Fitschen insinuated more gloom was to come. The bank, he said, would “be confronted with more developments in these and other matters” [The Putrid Smell Suddenly Emanating From European Banks]. And now, one of these other matters seeped to the surface: the bank had known for years about the impact of commodities speculation on food prices and the havoc it wreaked on people in poor countries. And it had lied to the German Parliament about it. On June 27, 2012, David Folkerts-Landau, head of Deutsche Bank’s DB Research, educated a parliamentary commission about the dire consequences of food price inflation—and what didn’t cause it. He cited the big players. The US Commodity and Futures Trading Commission (CFTC) had received “no reliable economic analysis” that showed that excessive speculation influenced the markets. US Department of Agriculture came to the same conclusion in 2009. And the Bank for International Settlements (BIS) pointed out as early as 2007 that there was “no convincing causal relationship” between speculation and price increases. That the BIS would say that makes sense: it groups together 58 central banks, including the most prodigious money printers. On its board: Fed Chairman Ben Bernanke, NY Fed President William Dudley, ECB President Mario Draghi, etc. etc. Thus inspired, Folkerts-Landau concluded that “commodity prices are primarily determined by fundamental demand and supply factors,” not speculation. Alas, foodwatch, an independent non-profit, has obtained four studies by DB Research and two studies by German insurance and finance conglomerate Allianz that showed that both companies had known for years that commodity speculation—one of their major business activities—drove up food prices. But the banks are just a link in the chain. Central banks have cranked up their printing presses and flooded the world with speculative capital, causing asset bubbles left and right. Their stated policy goal is to cause inflation, but when food-price spikes wreak havoc around the world, it’s of course someone else’s fault. Deutsche Bank is flailing to get this under control. There have already been noisy demands that it remove those financial products from the markets that bet on price changes of agricultural commodities. But the bank is the bedrock of the German economy, and Germany must soldier on. All hopes rest on it: its vibrant economy teeming with globalized, ultra-competitive, export-focused companies is supposed to drag France and other Eurozone countries out of their economic morass. But then, there’s an ugly reality. Read…. What If Germany Gets Bogged Down Too? Or Has It Already?